We Freshen Up Our Logo! Every life journey gives its own color. Everything that happens in someone’s milestone will provide their own experience and learning. That’s what also happen with DycodeX. Many things that have happened over the past three years have given many colors in our career journey. of course, these things helped us to become more advanced, more developed, and continue to innovate. This is what drove us to give a new color to our logo. If initially the DycodeX logo was monochrome color that was solid and firm, over time, more and more colors in the development of this company. So we want to appear more colorful with brighter colors, and affirm our brand to be more easily known by the general public. We think it’s time to freshen up the logo, just like we freshen up our spirit and ready to work even harder to achieve more. The various events we’ve been through had gave us the opportunity to meet more people and various new opportunities. Just like every ideas and innovations that we do, we want to become more dynamic and useful for many people. 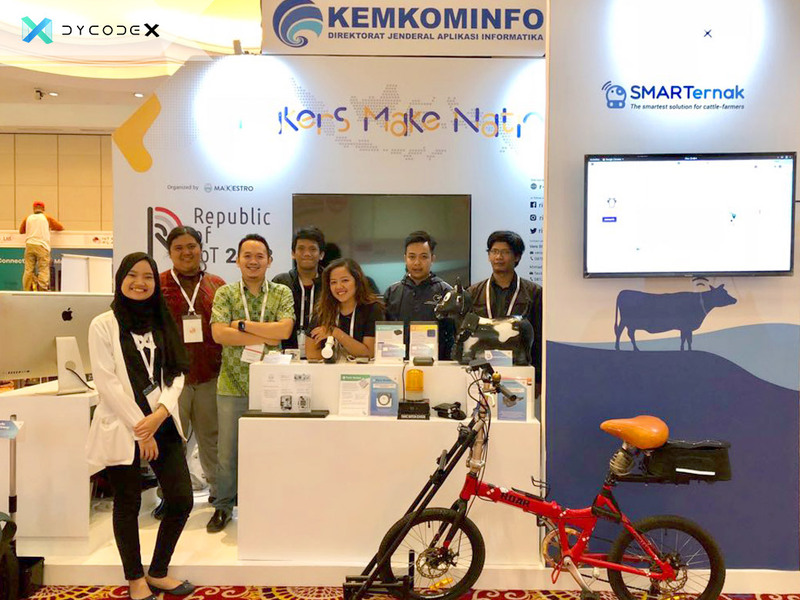 Hopefully in the future, we can do more for the development of the IoT scene in Indonesia, and also advancing the technology of this country. So, how do you like our logo now?